You know a place has good angling when it’s got a fish in the name and Cape Cod is no exception. 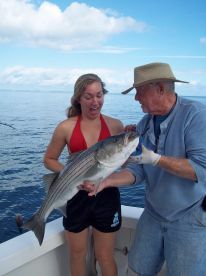 Cape Cod fishing charters have centuries of tradition to draw on and plenty of big fish to use it on. Settlers started working these waters way back in the early 1600s and some claim Viking explorers came here as early as 1,000 AD. And who could blame them? Cape Cod is one of the best places in the country to target Striped Bass, which many charter guides have spent their entire lives doing. And if the thought of a 50-pound Cow Striper isn’t quite enough for you, you can’t get much better than Bluefin! 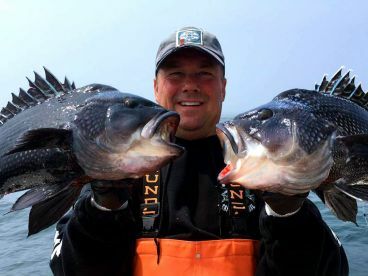 Unsurprisingly, the area has become the summer playground of anglers from across the Northeast, and from May through October the sea is awash charter boats. What makes Cape Cod special? The area is one big hook, baited with warm, protected waters and left dangling off the east coast to draw in migratory fish. As you might expect, the tip of the hook is where the biggest action happens. Stellwagen Bank is an underwater plateau just north of Provincetown where Bluefin Tuna, Sharks, and Whales gorge on Herring and Squid. If you’ve always wanted to battle Bluefin within sight of land, this is the place to go. The Cape Cod Bay is home to year-round populations of Flounder, and Pollock, although the Cod themselves cannot be caught in these waters. 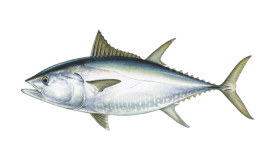 On the outside of the cape, you have cooler waters which are great for Bluefin, especially later in the season. Closer to land, Bluefish and Striped Bass make their way along the coast, biting on anything that comes their way. Head further south to the “Upper” Cape (where it meets the mainland) and you find Cape Cod Canal. 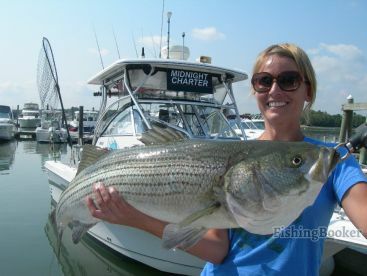 There’s no charter fishing here, but shore anglers visit by the thousand to enjoy the amazing Striper action. Basically, you have a dozen habitats with different water temperatures, all within casting distance of each other. All that, thrown right into the path of one of the largest migrations on the planet. If you just want to catch some tasty fish for dinner, you’ve come to the right place. 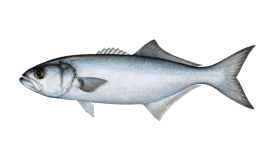 Black Seabass, Flounder, Pollock, Mackerel, Cod, Tautog - you’re not going to go hungry here! If you’re after something with a bit more fight, though, you’ve got three main options to choose from. The first big Stripers roll into town in early May. 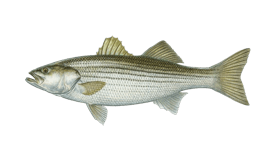 You normally get a second wave of big, “Cow” Stripers in early June, and can reliably catch “schoolies” well into October. During this time, forty-pound Cows can be found on both sides of the cape, as well as in Cape Cod Canal. The area’s Striper population took a big hit from overfishing in the mid 20th century, but numbers have been slowly increasing since commercial fishing techniques were restricted. These days, local guides prefer to release the majority of Stripers you’ll catch, but they won’t argue with you taking some food for dinner. These guys are the superstars of the Cape Cod deep sea fishing scene. They arrive in June in a glitterstorm of herring scales and can be caught into early November. Monster Bluefin are a rare sight these days. The occasional giant is still caught offshore, but they mostly weigh in at 50-100 pounds. That’s still more than enough to have some fun with, and will certainly fill your freezer! Shark fishing is at its best from July onwards, and when it’s good, it’s really good. 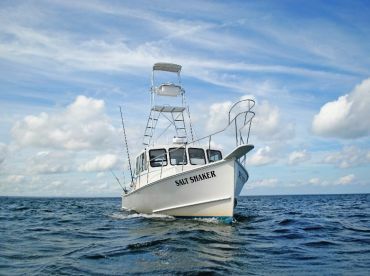 During the late summer, you can find Makos, Blues, Porbeagles, Threshers, and even Great Whites in the deep waters off Cape Cod. The very biggest Sharks are caught way out at the canyons, some 120 miles offshore. 1,000-pound-plus Makos are well-documented in these remote waters, but even close to land you’ll need heavy tackle and some seriously thick wire. Slow-trolling umbrella rigs is one of the undeniable success stories of Cape Cod’s Striper scene. Bar rigs with cod tubes are another classic setup, and one that has seen a lot of use in the area. Our advice? Go with what your guide suggests and enjoy bite after bite as you make your way down the coast. There are a lot of ways to target Tuna, but Cape Cod captains tend to prefer jigs, as do the fish themselves! You could be throwing jigs with spinning tackle for small surface Tuna or dropping lines with heavy jigging rods to big fish below. Whatever you do, you’re in for some serious action. With huge migrations of Bluefish and Striped Bass, it should come as no surprise that Cape Cod fly fishing is a pretty big deal. Picking the right flies is the key to success here. White Deaths and Lefty’s Deceivers are great options for both species, it just depends on what’s on the menu. You’ll need a saltwater fishing license whether you fish from a boat or from the shore. You can buy these online or from approved local vendors. If you’re planning on targeting Tuna, it’s worth bearing in mind that monster Bluefin often stay with the boat. You should talk this through with the captain ahead of the trip to save any confusion. Other than that, things are pretty straightforward here. The fish are around all summer, and you don’t need to travel far to find them. Just make sure you have a spare layer or two and some seasickness tablets if you think you might need them, and get ready for a great fishing trip! 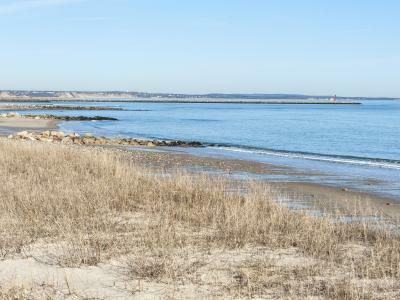 If you want the wild beauty of Cape Cod all to yourself, January could be the time for you. A lot of businesses close over the winter, but you can find some serious deals if you don't mind the cold. 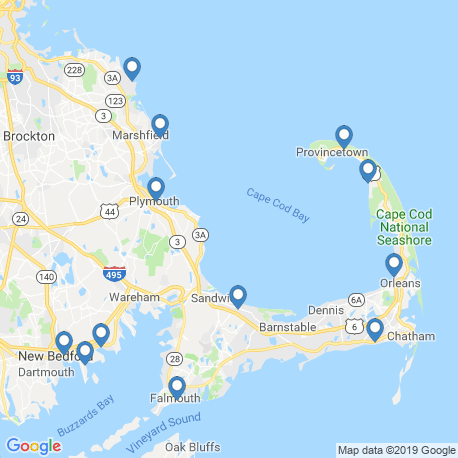 You will be hard-pressed to find a fishing charter in February, but Cape Cod's freshwater fishing is a year-round activity. If it's really cold, you might even be able to try ice fishing! Cape Cod starts to emerge from its winter hibernation in March. Shops get ready for the season, locals return from their holidays, and anglers head out in search of early season Stripers. 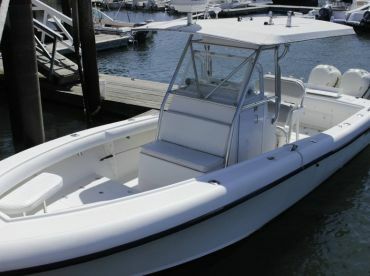 The first few Cape Cod fishing Charters open their hatches for business in April. The majority of the fleet is still getting ready, but heading out early could bag you the fish of the season! 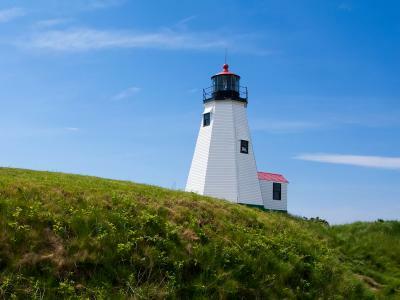 May is a great time to visit Cape Cod. Spring is in the air, the sun is shining, and the first wave of Cow Stripers comes crashing into town. 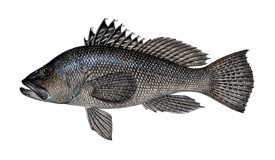 Black Seabass also show up towards the end of the month. 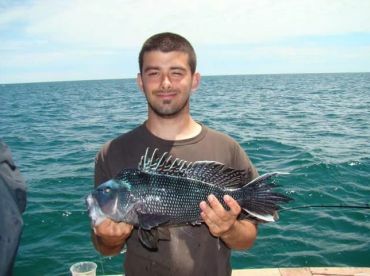 Bluefish, Striped Bass, and Summer Flounder are all at their best in June, making it a great time to fish the shallows. It's also one of the best times of year for Scup, if they're a personal favorite of yours. 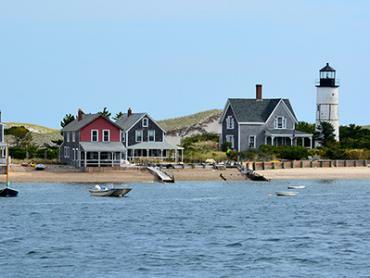 Cape Cod's tourist season is in full swing by July, making reservations necessary for charters and accommodation. You don't need to worry about restaurants though - just head out and catch your dinner! The Bluefin action has been building up for a couple of months, but it really comes into its own in August. These are a serious bucket list fish, and well worth the money if you catch one. 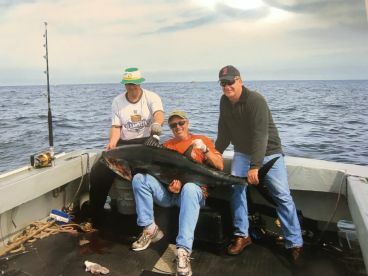 September yields some of the best catches for Bluefin, Stripers, and Sharks - Cape Cod's top three targets. Whichever of these incredible game fish you're after, you'll end the day exhausted and happy. October is the big sendoff for the charter season in Cape Cod, and what a sendoff it is! Fish fill every depth of water and are feeding furiously before they move on out of town. Most of the tourists have moved on by November, and the charter scene has closed up for the year. 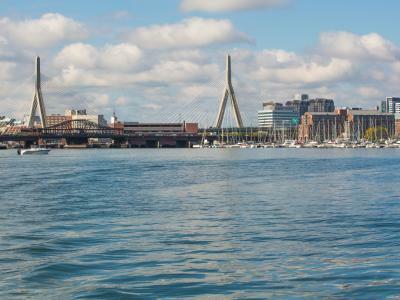 A few Cod charters do run through the winter, though, if you don't mind the cold. You're best off sticking to the bigger towns where the shops stay open in December. If wild seascapes are your thing, though, you won't lack for artistic inspiration this time of year.